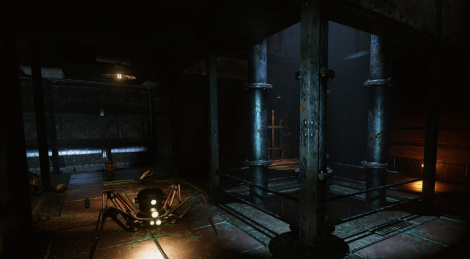 Coming from Steam Greenlight, the game is Slovak studio Fatbot Game is a dungeon crawler entitled Vaporum. Lost in a huge tower in the middle of the sea, you will have to fight all kinds of robotic enemies. We propose 2 videos from the beginning of the adventure, with some puzzles and a few fights.